Last week we released v9.5 of MProfit which packs many new features and fixed several older issues. Below is a complete list of all the new features, reports and enhancements. Click to the see the full version history of MProfit. Last week we released the latest update to v9.4 (1013.0366) and we have added many new features. One of the biggest features is the ability to track bond prices. Tax free bonds have emerged as highly popular investment option among investors due to the taxation benefit that they offer and better yields since last couple of years. 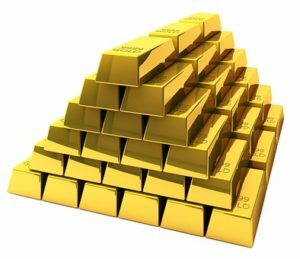 The bonds are mostly issued by government-promoted entities hence, come with the highest level of credit rating and provide investors a sense of safety compared to other corporate bonds. Support for traded bonds in MProfit was one of the most requested features from our clients. The current version supports live prices (end of the day prices) of traded bonds in capital market segment and also provides short term and long term capital gains reports for traded bonds. For the complete list you can visit our version history section. To get the update, in MProfit goto Help -> Check for Updates and follow the instructions. We have just released the latest version of MProfit and as usual has many new features that were requested by our users. We have also made our auto-mapping of mutual funds even better as we are able to detect and automatically map more mutual funds into our system, which means less time spent on manually mapping the mutual funds. Happy New Years! If you have noticed we have been quite silent on this blog over the past 5-6 months, mainly because the entire team was working towards a very busy 2012. 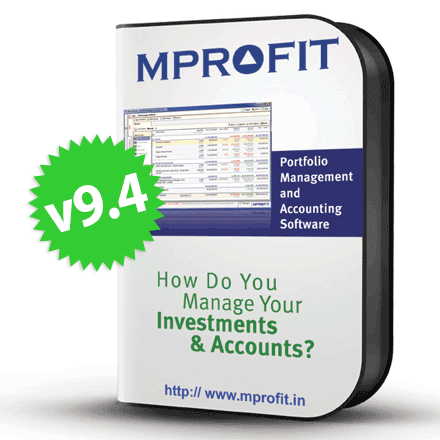 At MProfit we started 2012 with a bang, with the launch of latest version of MProfit Investor (v9.0). But in even bigger news is we launched our second product MProfit Advisor. MProfit Advisor was designed for companies, family offices, HNIs, CFPs, independent financial advisors (IFAs), insurance advisors, investment advisors and sub-brokers. 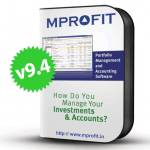 What’s new in MProfit Investor v9.0? 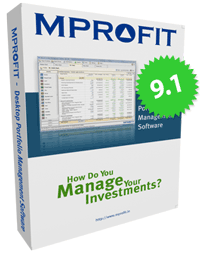 We have rebuilt MProfit Investor (download) to take advantage of the many new features we have planned for 2012 such as the ability to sync your data with advisors. In addition, you will be able to view your data on tablets and mobile phones (Android, iOS, Windows). Since the launch of our first product MProfit Investor we were receiving many requests from financial advisors, HNIs and family offices. In 2011, we decided it was time to start working on a new product based on the feedback and what you see today in MProfit Advisor (download) is a result of it. 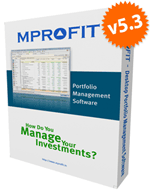 MProfit Advisor we designed to be easy to use and cost effective. 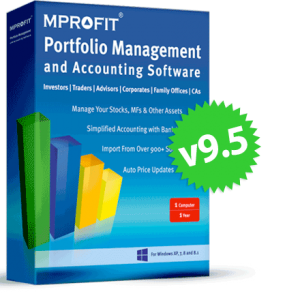 MProfit Advisor allows you to manage 100’s of portfolios, put your logo on reports, generate overall AUM reports and many other features. In the near future, advisors will be able to share data with their clients in an easy and secure manner. 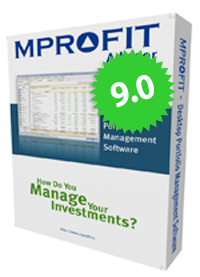 At MProfit, 2012 is the year we plan to make managing money a very simple task. 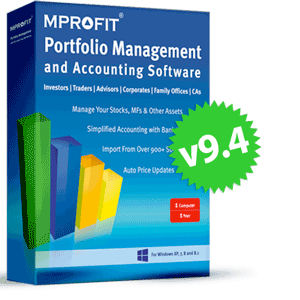 Click for a summary of the features in MProfit Investor and MProfit Advisor.